This Lent has been a good time to reflect on the past year here at Our Lady of the Holy Spirit. We can find many reasons to rejoice. Today the Monastery of the Holy Spirit celebrated its Diamond Jubilee—the 75th anniversary of its founding. Seventy-five years ago monks from Gethsemane Abbey set out for Conyers to establish the Monastery of Our Lady of the Holy Spirit. In this year of 2019, we at The Monastery of the Holy Spirit are celebrating our 75th anniversary of monastic life in Georgia. Through these past 75 years, our world has seen so much change along with many significant events both wonderful and tragic. 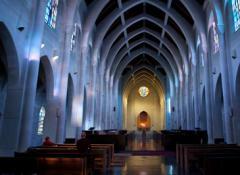 Our monastery has lived through these times, prayed through these times, with much trust and faith in God. 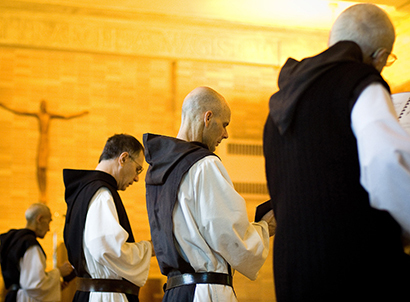 Celebrating 73 years of foundation, we, the monks of the Monastery of the Holy Spirit, a community of Catholic men, seek God through a common life of prayer, study, and work giving witness to Christ and the Gospel, in service to the church and the world. Father Edward Thomas Morley, OCSO, 86, monk of the Cistercian (Trappist) Monastery of the Holy Spirit in Conyers, Georgia died peacefully in the monastery infirmary on Thursday June 1st after a long illness. Dom Bernard Johnson, Abbot emeritus of Our Lady of the Holy Spirit Monastery in Conyers, Georgia, died at the Abbey of New Clairvaux, Vina, California on Tuesday, February 21, 2017. He was 91 years old. He was elected the fifth abbot of Conyers on July 12, 1990 where he served until 2000. Dom Bernard returned his stability to Vina where he lived for 17 years until his death. 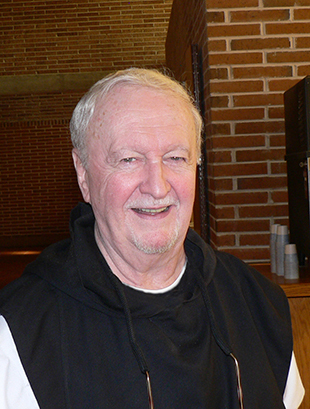 Brother Laurin Hartzog, 86, monk of the Cistercian (Trappist) Monastery of the Holy Spirit in Conyers, Georgia died in the monastery infirmary on Friday morning after a long illness. The burial service took place at the celebration of the Mass of Christian Burial on Monday 12/19 at 9:00 AM at the monastery church. The monastery is privileged to have hosted a Holy Door and a pilgrim site for our archdiocese during this Extraordinary Jubilee of Mercy. The Year of Mercy concluded on November 20, the closing celebration of the Holy Door was celebrated on Sunday November 20, the Solemnity of Christ the King with a specially scheduled Mass at 9:00 AM. Abbot Augustine Myslinski, OCSO received the abbatial blessing. On Monday August 15, 2016, the Feast of the Assumption of Mary Abbot Augustine Myslinksi, OCSO, received the abbatial blessing having been elected as the eighth abbot of the monastery. Please pray for the repose of the soul of Father Anthony Delisi, OCSO monk and priest of the Monastery of the Holy Spirit in Conyers, GA, who died peacefully in the company of his brother monks praying at his side on Monday May 9th. The Funeral Mass of the Resurrection and the burial took place on Saturday, May 14th at 10:00 AM. at the Monastery of the Holy Spirit. The Monastery is truly a destination for the entire family. Find out how you can make the most of your time during a visit to our grounds. In an increasingly turbulent world, we offer a renewing place of peace and prayer. The brothers and I remember you in our prayers. Thank you for remembering us.